Benefits & costs of physical therapy. The conditions it treats & How PT works. Physical Therapy is a clinical approach to helping you regain functional capacity after injury, and get back to the life you were meant to live. Each SPEAR therapist is equipped with the skills, tools and expertise to not only promote injury healing and pain reduction, but to identify other underlying physical impairments—including weakness, flexibility and joint stiffness, to name a few—that might require a more specialized path to recovery. Here at SPEAR, a holistic approach to healing means always treating the individual rather than simply a diagnosis or single body part. In this way, our motto “Back to Life” is more than a goal we have for you. It’s also a goal our therapists have for themselves—to customize individualized treatment plans to address the whole body. This approach goes well beyond standard PT care, and will get you moving and performing more optimally while also preventing future injuries. Anyone feeling limited when participating in normal day-to-day functions, exercise, or sport and recreational activities due to pain or other symptoms can benefit from physical therapy. An ideal candidate for PT is someone who is trying to reach a functional goal and feels motivated to actively work toward and achieve that goal. How Does SPEAR Physical Therapy Work? When you receive PT treatment at SPEAR, you can expect to be taken through an individualized program that addresses your unique needs and goals. 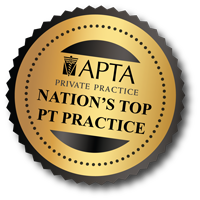 On your first day, your physical therapist will take time listening, observing, and examining to generate a more complete picture of your injury and symptoms. This session will conclude with an explanation of your treatment plan, what to expect going forward with physical therapy, and instructions for any exercises you can begin performing at home. From this point on, your treatment should be thought of as a partnership between you and your therapist. You know your body better than anyone else! Your therapist will guide you as you take charge of your recovery, thus ensuring results that last well beyond your time at SPEAR. Services offered in a typical PT session can all be billed through insurance and therefore are no extra cost to the patient. Certain specialized treatments (golf swing analysis, transitional care/personal training, etc.) are not covered by insurance, and therefore billed at self-pay rates.